I just love how this collection turned out for a bridal shower that my sister hosted this weekend. The bride's wedding colors are magenta and orange and she is planning on using ranunculus as her main flower. 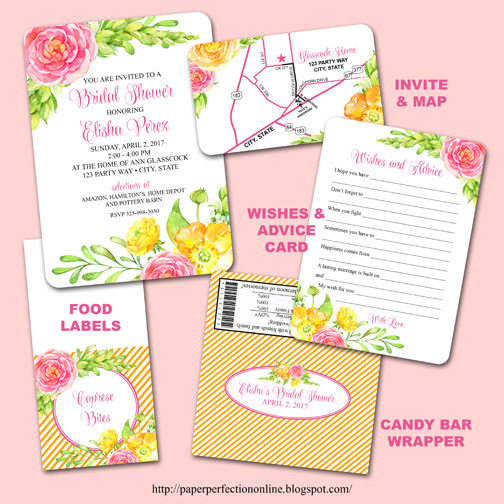 Here is how I put her colors and flower together to create some party printables for her special bridal shower. If you would like party printables for your next event to match special colors or flowers contact Paper Perfection at jtanddolly@yahoo.com for pricing and details.